Max & the Magic Marker is a game that never quite lives up to the brilliant mechanic on which it is based. It’s not a bad game. It’s actually a pretty good game. But all the elements of a great game are there. Max & the Magic Marker should be great. But it’s not, and the developer’s failure to execute on the game’s clear potential will leave you feeling vaguely unsatisfied even when you’re enjoying yourself. Max is a small boy with a big imagination. When he receives a magic marker in the mail, the first thing he happens to draw with it is a monster. Unfortunately, this magic marker takes itself a bit too literally, and everything he draws with it magically becomes reality. His monster comes alive and invades his other artwork, and Max takes off after him with the help of his new toy. Max & the Magic Marker is a mishmash of genres, sitting halfway between 2D platformer and puzzle game. You’ll spend about half the time running and jumping to avoid obstacles, and the rest of the time you’ll be figuring out how to solve challenges with your imagination (i.e., what can you draw to get you out of your current pickle). The game shines when you’re drawing, but not so much when you’re running and jumping. 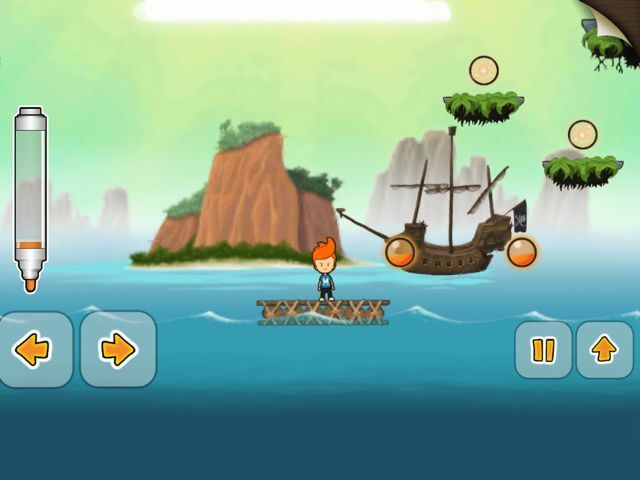 Max is a cute game with a strong and consistent theme. The playful style will immediately appeal to your children. Max is a cute kid with a giant head and even bigger hair. His whimsical environments are fleshed out pretty well, with multiple layers of scrolling backgrounds giving a feeling of depth to the whole affair. The enemies aren’t too varied, but in reality most of the “enemies” in the game are environmental puzzles, so the lack of imaginative bad guys can be largely forgiven. All in all, the art design in Max & the Magic Marker is consistent and charming. Sound and music, on the other hand, are perfectly adequate, but not more. Each level has some decent music looping in the background, but the loop becomes apparent pretty quickly and if you spend much time on trying to finish a level (and you will on some of them if you want to earn three stars) it quickly becomes repetitive and annoying. As far as sound effects go, what you’ll hear in Max & the Magic Marker get the job done. They’re neither particularly good nor bad. Max is moved through the game world using typical left-right controls and a jump button, but he also has the eponymous magic marker at his disposal. Anything he draws with it takes on physical form and can then be used in the game world. For example, if there’s a deadly pit that’s too wide to jump, just draw a line over it with the magic marker and, voila, you have a bridge. The mechanics of the marker couldn’t be simpler. At any time just touch the screen and start drawing. As soon as you lift your finger, whatever you drew will spring to life. Your initial reaction to Max & the Magic Marker will probably be something along the lines of, “WOW! This is amazing.” It is. 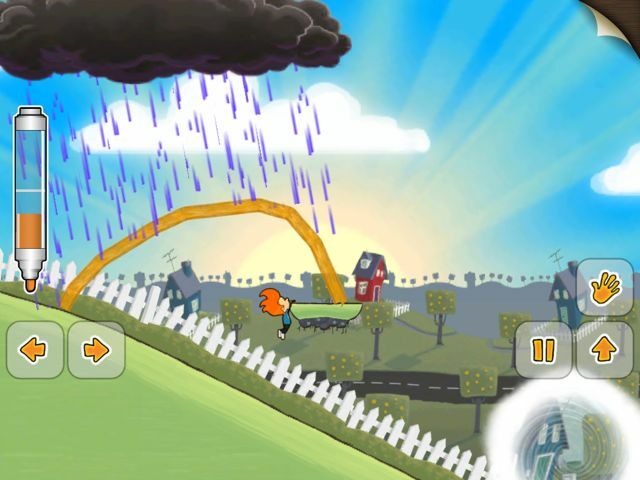 The physics engine is great (though, if you’ve played Crayon Physics before you might have a slight feeling of déjà vu). 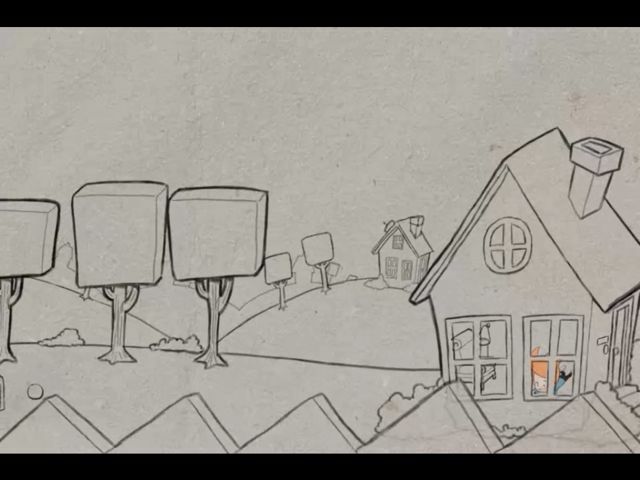 The things you draw become a part of the game, and interact predictably within the environment. Unfortunately, you will find that there are approximately four or five basic shapes that you’ll draw over and over and over and over and over to solve nearly every puzzle in the game. The first time you draw your own set of stairs to traverse an obstacle is revelatory. The fortieth time it’s just repetitive. I don’t mean to be too harsh. The drawing part of the game, even when repetitive, remains reasonably fun. It’s just not what it could or should have been. The platforming part, on the other hand, actually leans toward bad. It’s not entirely the Press Play’s fault. 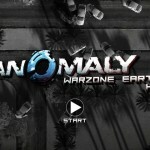 The iPad is a poor platform for platforming games. Period. No matter what a developer does, there is just no way that on-screen buttons can come close to adequately replacing physical buttons and a d-pad or analog thumbstick. 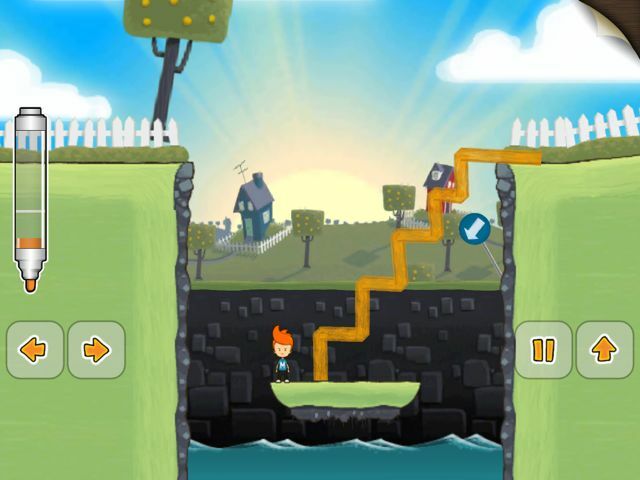 Max & the Magic Marker doesn’t control as poorly as some other platformers on the iPad–you only have left/right directional buttons to contend with rather than all four primary directions to deal with. 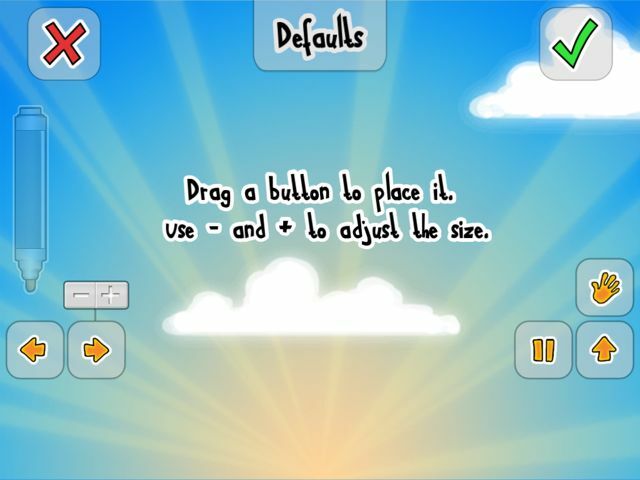 In addition, Press Play has done an admirable job in the most recent version of allowing for detailed customizability of the play controls–you can place the buttons anywhere on the screen that is most convenient and comfortable, and you can make the buttons bigger or smaller as well. Nevertheless, no matter how you tune the controls, you will find your character falling to his death approximately once every few minutes thanks entirely to the suboptimal control scheme. Luckily, levels are pretty short, so it’s not a total dealbreaker. But it’s annoying. 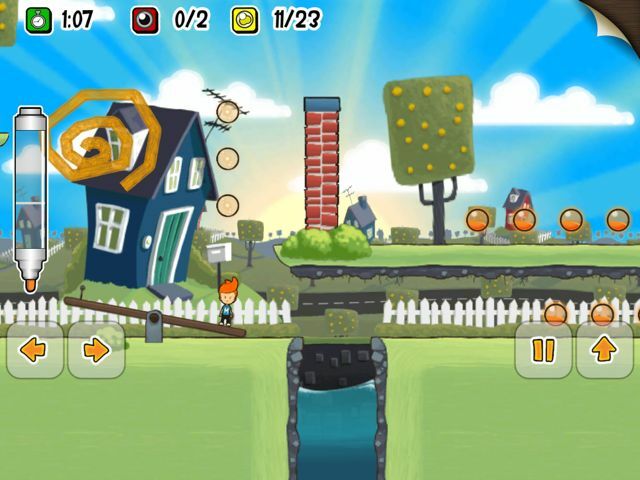 Replayability in Max & the Magic Marker follows the Angry Birds paradigm. Essentially, you can play through a level, therefore unlocking the next level, by simply reaching the end of the level, but then you’ll only get one (or even zero) stars. If you want to earn three stars (and who doesn’t want extra stars? ), you’ll have to go through the level again and accomplish some extra tasks. The additional tasks involve gathering up a set number of orbs that are scattered around the level, and doing it all within a specified time limit. In my opinion, adding in a bunch of generally arbitrary gather the coins/stars/orbs/fill-in-the-blank or speed goals is a lazy, and unfortunately common way of extending the longevity of a title. My idea of fun is not repeating the same level over and over and over until I finally (with a heavy dose of unrepeatable luck) reach an absurd level of perfection–especially when we’re talking about a game that was never anything more than an amusing distraction. In fact, what I just described sounds a lot more like my idea of boredom. But who knows . . . judging by the insane popularity of Angry Birds, maybe I’ve just got a screw loose. 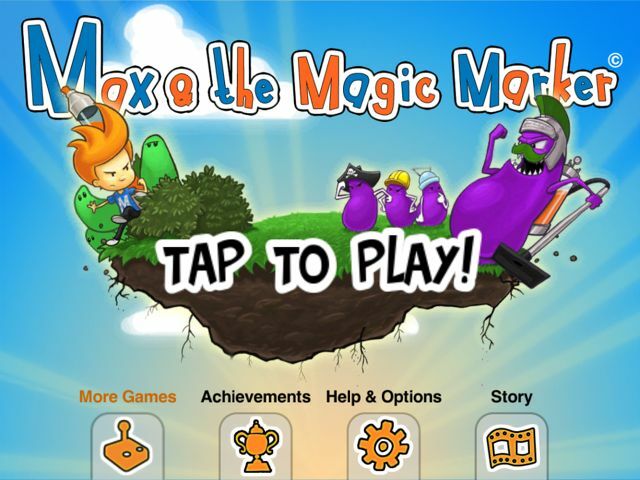 Max & the Magic Marker is a decent game, and many of my complaints will probably go unnoticed by your 10-year-old. But even if she doesn’t notice them consciously, the flaws will lead to a less satisfying experience (e.g., nobody likes dying over and over again thanks to poor controls) and she will become bored of the game more quickly. The game does have occasional moments of brilliance, though, and will probably provide plenty of entertainment to justify the $2.99 price. There are better games on the app store, but if you or your kid likes platformers or physics-based puzzlers, you’ll probably never miss your three bucks. I read your post and i found it very useful my girls enjoy Max & the Magic Marker very much now.